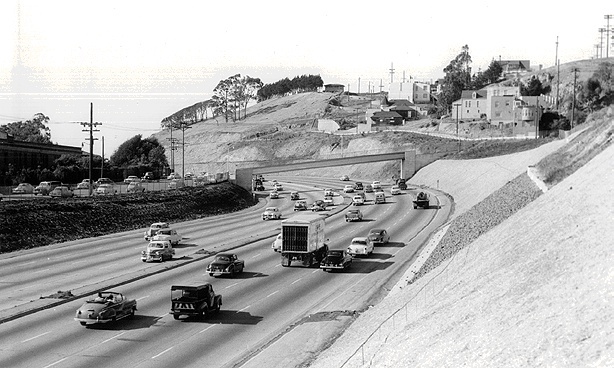 The James Lick Freeway (Highway 101) in 1957, northbound, just past Vermont St. exit off Potrero Hill. 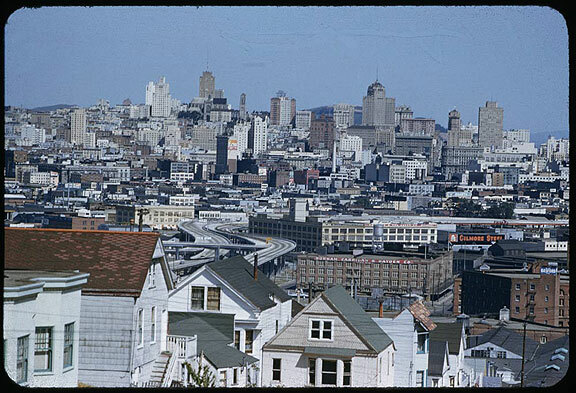 View northward from 20th and Rhode Island on Potrero Hill, Hwy 101 in center of image, April 10, 1955. 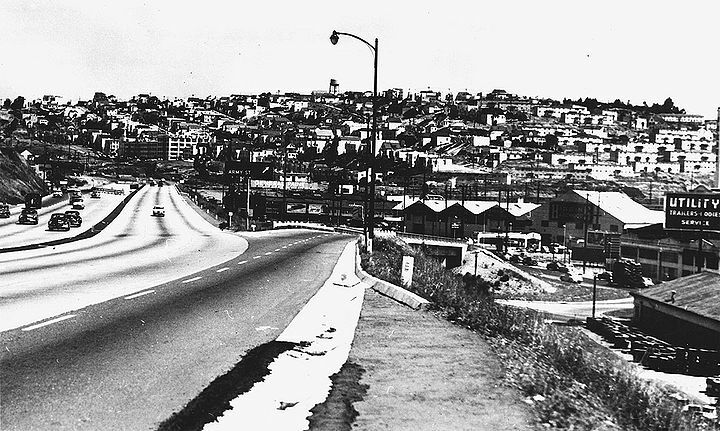 The James Lick Freeway (Highway 101) in 1957, northbound from 23rd Street overpass. 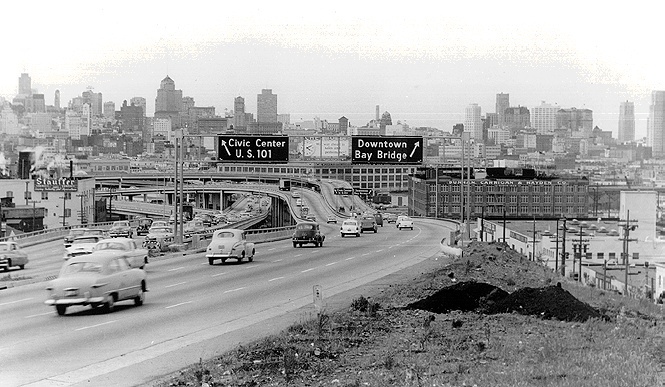 Bayshore freeway north at Army Street offramp, 1956. The 101 freeway is still unfinished in distance. 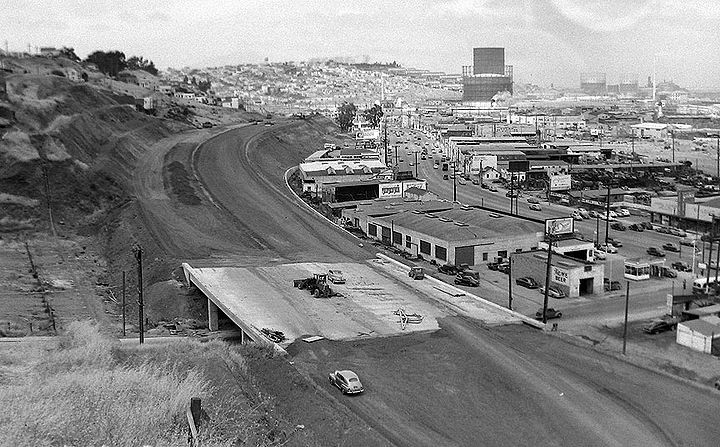 Highway 101 at Army under construction, 1955, with Potrero Hill in background. 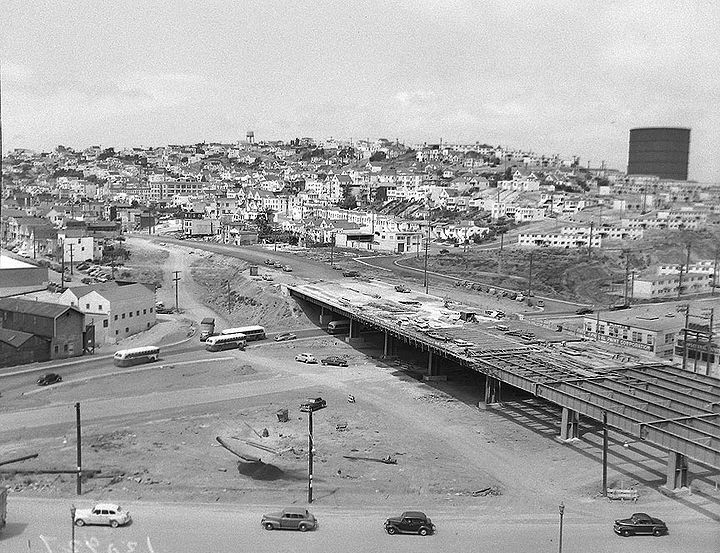 Building Highway 101 where it crosses Cortland Avenue alongside Bernal Heights, 1955. 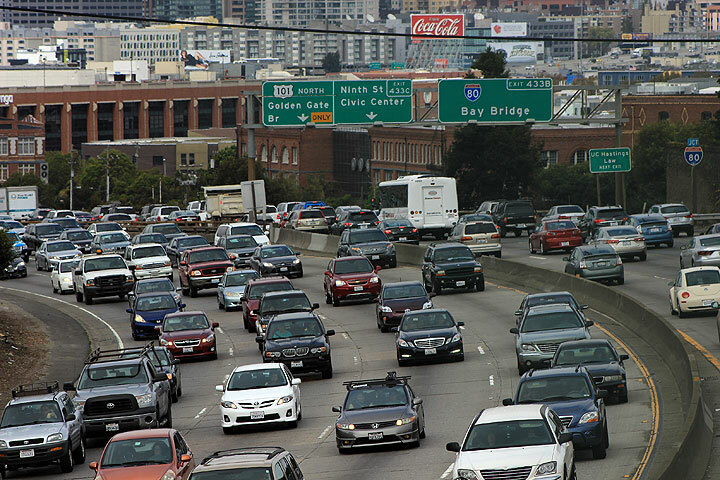 Highway 101 full of autos in 2014. 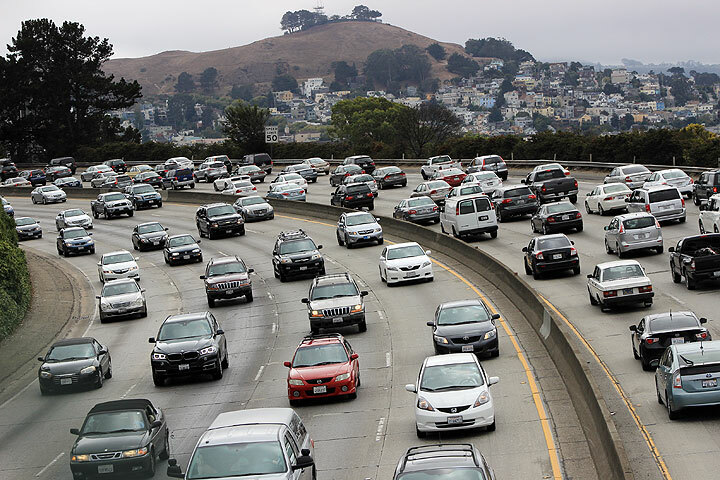 Hospital Curve southbound, Highway 101, with Bernal Heights. 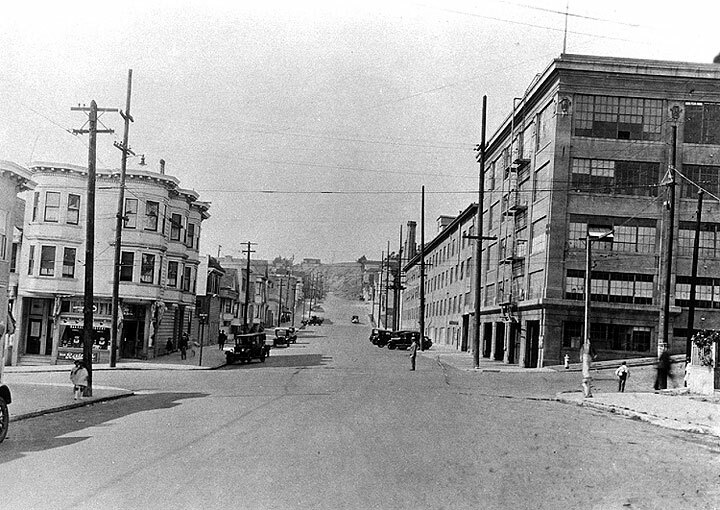 In 1930 the Dutch Boy Paint Factory sat on the northeast corner of 24th and Kansas (above). 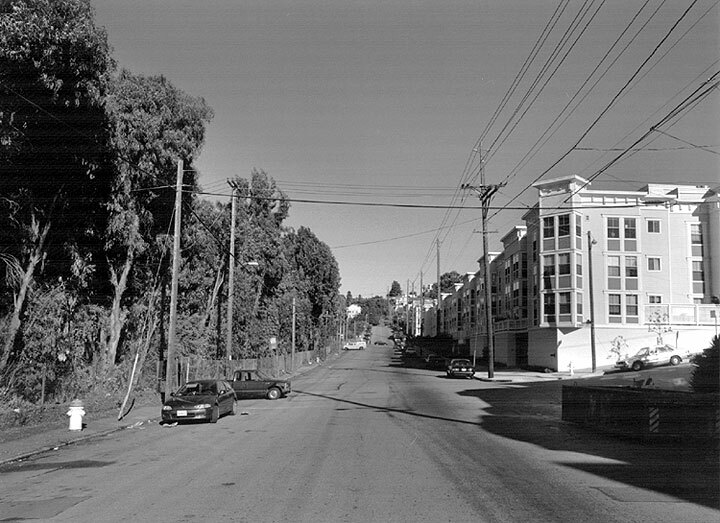 By 1994 the west side of Kansas Street had been demolished and replaced by the 101 Freeway, hidden by eucalyptus trees in this image, and a new apartment building had replaced the paint factory (below).